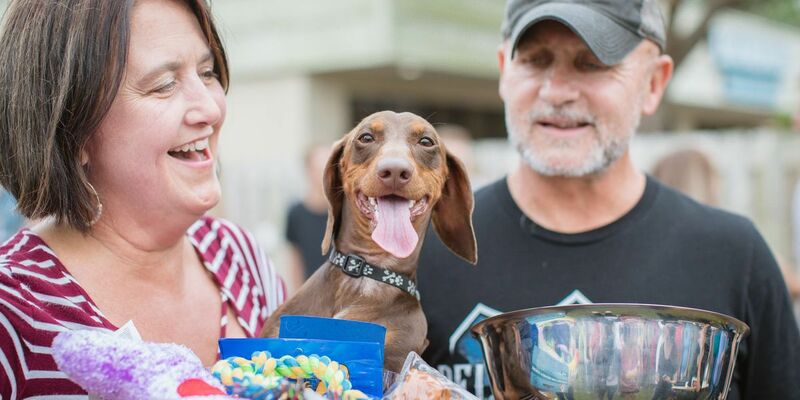 An annual race matches up dachshunds at a bar and restaurant in Wilmington, and all the money raised goes to a good cause. Today at Ogden Tap Room, dozens of dachshunds leaped down the track hoping to claim the title of fastest Wiener Dog. WILMINGTON, NC (WECT) - On Saturday, the 10th Annual Wiener Dog Race at Ogden Tap Room’s Oktoberfest drew dozens of competitors. The race is an annual event put on by the Wilmington Dachshund Club and benefits Dauntless Dog Rescue, a non-profit organization run by volunteers that places and trains dogs in foster homes until they are adopted. Only one wiener can take home the winning title. This year, Tracy Shumate’s dog, Jackson, took home the trophy in the 10th annual race.